The American Dental Association recommends visiting your dentist every six months. Even if you don’t have dental problems or need fixing, those regular check-ups and cleaning appointments are essential. Here are a few important reasons to schedule regular appointments. During the regular dental check-ups, you will have the chance to be thoroughly examined. Remember, dental problems aren’t always visible immediately. The health of your gums will need to be checked and the alignment of your teeth will be measured. The dentist will also inspect your mouth and even your throat, looking for any signs of disease. This could be decay, plaque or tartar. 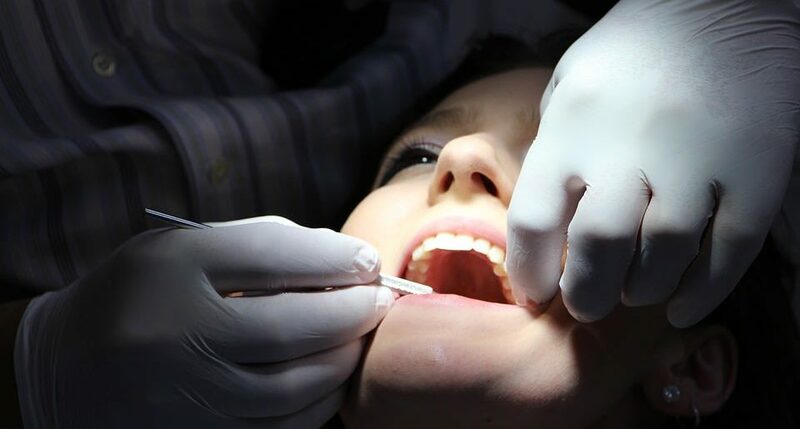 If you have an overbite or need some teeth pulled, these examinations will give the dentist better insight into these problems. You may even need to get an x-ray to check the bone structure of your jaw and teeth area. Cleaning your teeth and gums is an important part of these scheduled visits. Your teeth will be thoroughly polished, buffed, flossed and cleaned. You can also discuss your current teeth-cleaning routine with your dentist and ask their advice for better tools and techniques. The routine checks every six months ensure that your current health routine is being updated, and that any oral hygiene practices at home are achieving the desired results. Protecting your gums can ward off other diseases that would be harder to get rid of later. Speaking of diseases, The Oral Cancer Foundation estimates that one person dies from oral cancer every hour in the United States. However, if diagnosed early, preventative measures can be taken. Screening for oral cancer is part of the services you can take advantage of when visiting your dentist for a routine check-up. Your teeth can become discolored due to diet or lifestyle. Smoking, drinking coffee or red wine can all contribute to yellow teeth. At your dental check-ups, ask about the possibility of having teeth-whitening procedures done. A simple cleaning with polishing can also greatly help to improve the aesthetics of your smile. This tiny detail can do wonders in boosting your self-confidence. Gum disease may result in having to get your teeth pulled, or the pain of having them fall out prematurely. If you are mindful of your oral hygiene and keep those scheduled dental appointments, however, you will be able to prevent gum disease and ensure a long life for all of your pearly whites! While brushing and flossing are easy steps you can take to stay healthy at home, there’s nothing like a professional cleaning in a dentist’s office to ensure you never lose a tooth from oral diseases. Speaking with a dentist can also help you improve your chances of overall health and chewing ability. No one wants to have bad breath, and hardly anyone likes being around those who do. Yet it's sometimes hard to detect your own breath. The only way to ensure sweet-smelling breath is to maintain great oral hygiene. If you suffer from chronic bad breath, also known as halitosis, mints and mouthwash will do little to fix the underlying problem. Halitosis often results from other dental problems, such as infections and diseases. Only your dentist can properly detect what is causing the bad breath and suggest a remedy or treatment. If you have regular screenings, a dentist will be able to catch health problems in time. Cavities, broken fillings and unwanted plaque should be treated in the earliest stages possible. While you may not feel any pain, this does not mean you have good oral hygiene. Always stay on the side of caution and get your teeth checked so that you can have the best treatment available. Early detection will also help you in planning other life events. For example, knowing ahead of time that you need a root canal will help you make other personal plans, such as a babysitter for the kids or some time off of work to recover. Many patients prefer to see their dentist regularly because they can make good use of their dental insurance. If you are already paying a monthly fee, why not ensure that your teeth and mouth are at their best? You can also save a lot of money that would otherwise have to be paid for costlier dental procedures. Having personalized treatment plans are also an option. Visit your dentist to see what financial arrangements they can make to accommodate your personal needs. If you have further questions or concerns about your oral health, speak with one of our professionals today. You can call us to arrange a personal consultation or dental check-up at your convenience.